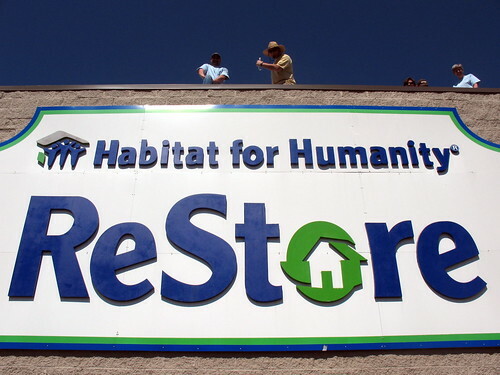 Yesterday there was a big fundraiser at the Wendover Habitat for Humanity Restore. 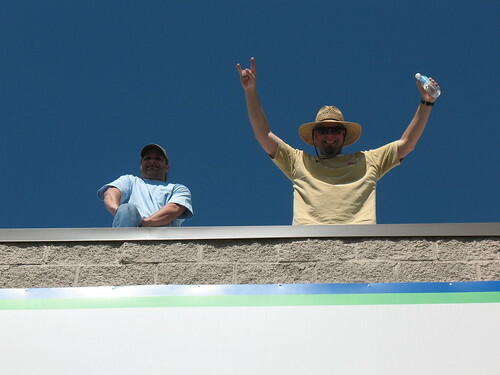 The owner of my local beer store was on the roof collecting money. Melanie and I went by, dropped some moola in his bucket and browsed inside the store for a while. Below is Mike on the roof. Of the two guys in the middle he's on the right wearing the yellow shirt and hamming it up.